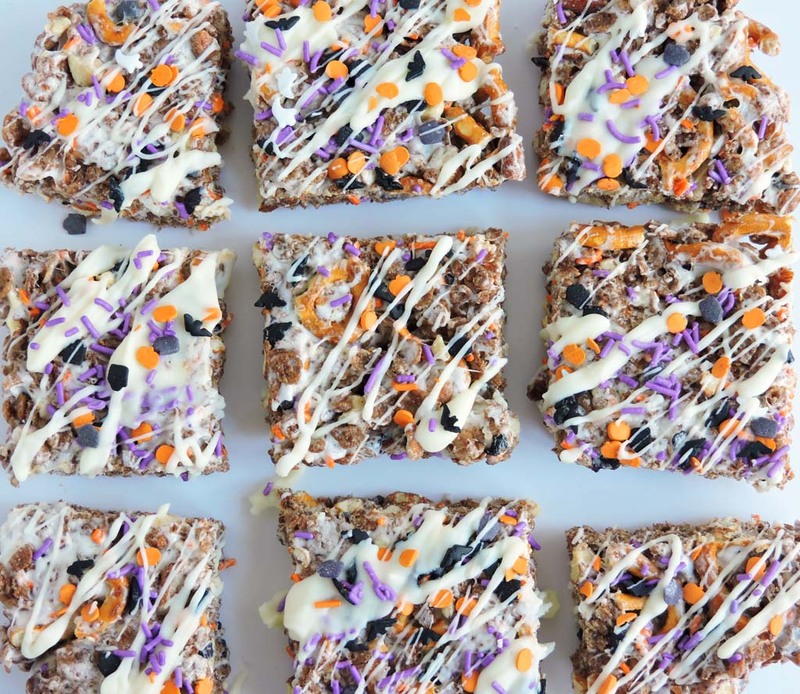 It’s time to get festive and whip up a batch of these Crunchy Almond Halloween Bars! The kids will love this fun little treat! Happy October!!! Wow, is it seriously October 1st?! Is it just me or does it seem like this year has gone by SUPER fast?? I am usually counting down the days until the holidays, but I had no time to do that this year! Lol! By the time I blinked, October was already here! Well, since October is finally here it’s time to get ready for Halloween!! 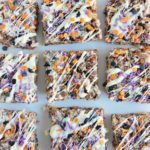 And what better way to do this than with a delicious batch of these Crunchy Almond Halloween Bars! 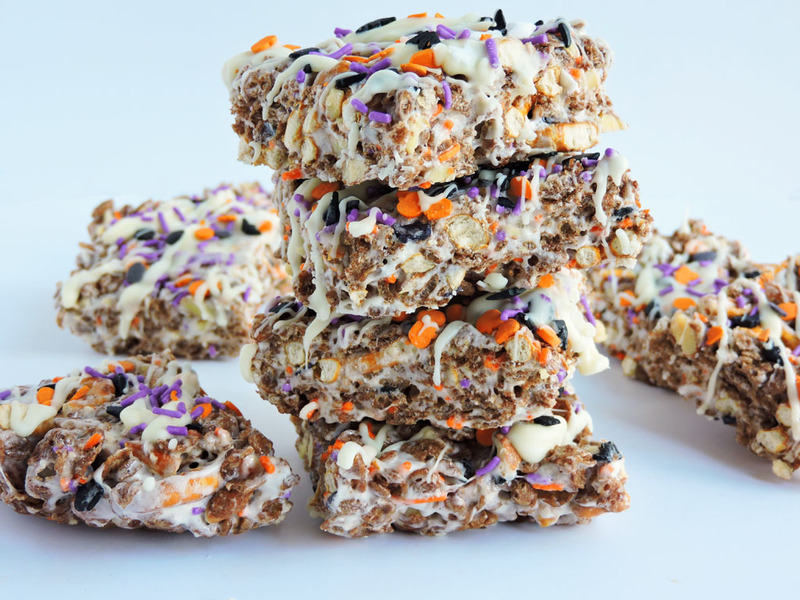 I should’ve named these, ‘the kitchen sink bars,’ because after my kids whined and cried for a Halloween treat, I literally went into the kitchen and threw random things into a bowl to make these Crunchy Almond Halloween Bars! Lol! Who knew that these bars would turn out soooo good!! They required zero cooking…unless you count the few seconds of blasting the marshmallows in the microwave! Lol! 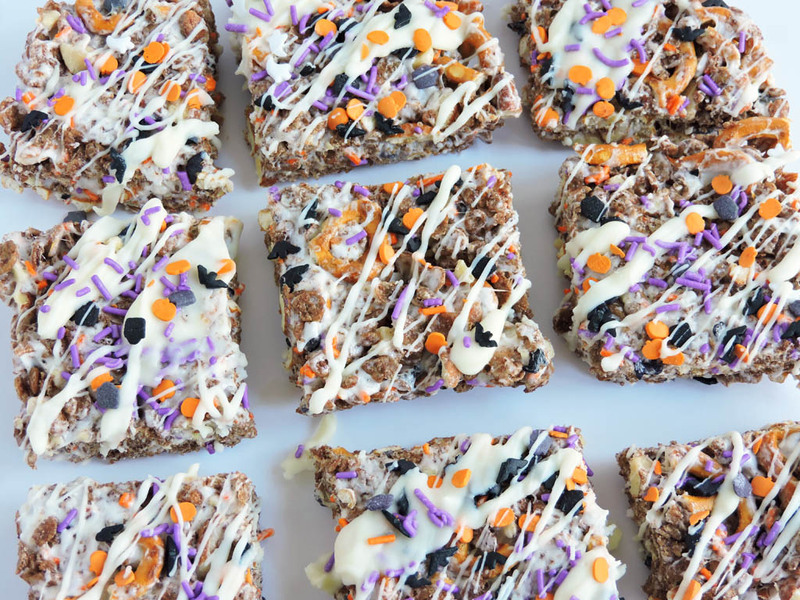 To make these bars super cute and festive, I added a few Halloween colored sprinkles and white chocolate on top! 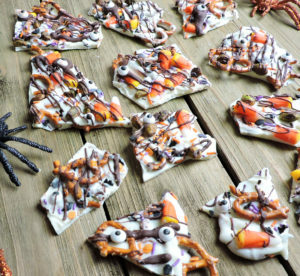 My kids LOVED them and they will look gorgeous next to your Halloween table décor! Lol! 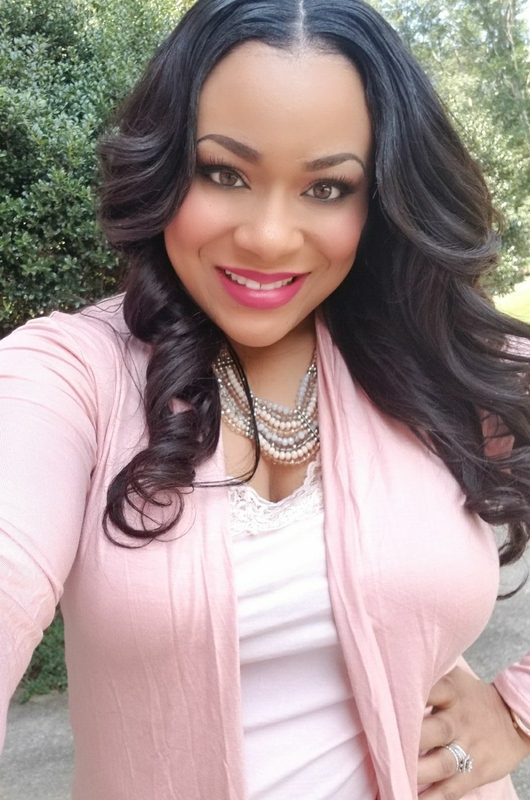 I know that I can’t be the only one that decorates their food to match their tablescape…well maybe I am lol! 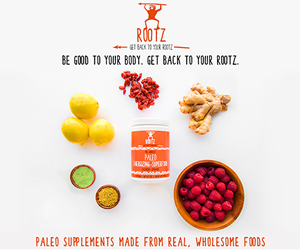 For more holiday inspiration, follow me on Pinterest! 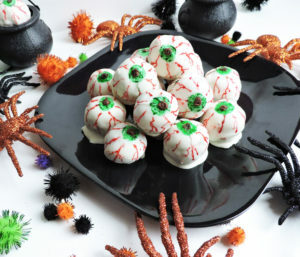 Be sure to check out these other great Halloween Recipes! In a large microwave safe bowl, melt butter and marshmallows in the microwave for approximately 30-60 seconds. Stir and add in the chocolate crispy rice cereal, almonds, and pretzels. Combine until all ingredients are coated with the melted marshmallow mixture. Pour into pan and press into an even layer. 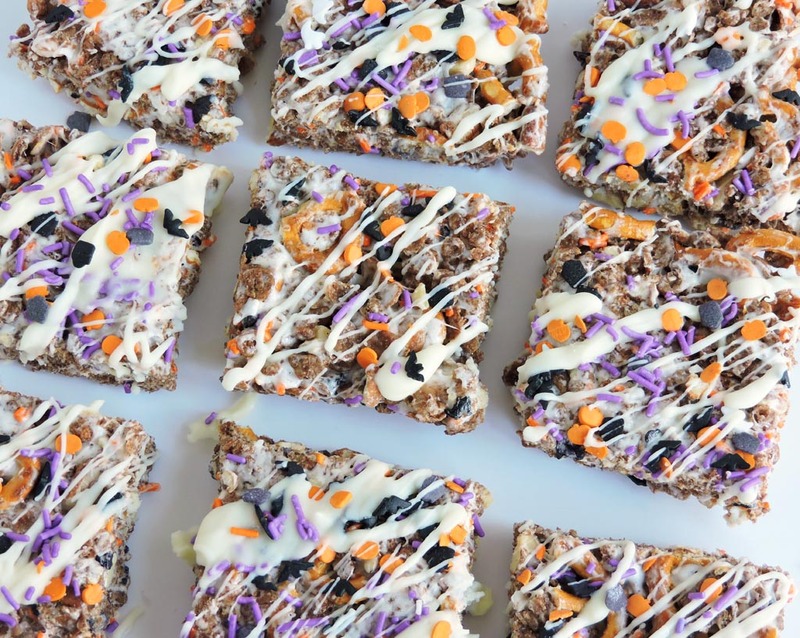 Sprinkle Halloween sprinkles on top, drizzle with white chocolate if desired, and place in the refrigerator for about 30 minutes to an hour.